In New York, every driver is required to purchase car insurance. In fact, if caught driving without auto insurance, you could face drivers license suspension as well as car registration suspension. Although New York drivers pay the second highest car insurance rates in the country, it is possible to get a discount by enrolling in driver safety courses. Learn more below about how to reduce costs on car insurance and the NY DMV insurance requirements for motorists. $10,000 for property damage for a single accident. $25,000/$50,000 for bodily injury/death of a person involved in an accident. $50,000/$100,000 for bodily injury/ death of two or more people in an accident. Maintaining insurance for cars that are registered under his or her name as long as the vehicle registration is valid (even if the vehicle is not driven often). To apply for car insurance in New York state, and not use out-of-state car insurance. Getting car insurance under the car owner’s name. Mail your two original New York State Insurance ID cards. Notify the NY DMV electronically of your insurance coverage. Keep in mind that even though the NY DMV has your insurance information on file, your new car registration application cannot be processed without the insurance ID card as well. The barcode on the insurance ID card will be scanned by the DMV attendant. Search for car insurance quotes today. Once you have New York state vehicle insurance, you have 45 days to register your vehicle. Enroll in and pass a driver safety course to receive a car insurance discount. Have all the information available about your vehicle: make, model and year. Use a reliable car insurance website to find affordable car insurance quotes. Review the auto insurance policy’s accident coverage. If you are a business owner who needs to get commercial insurance for one or more business vehicles, you are responsible for getting cdl insurance. Since there are special goods or passengers being transported, the insurance policy will be higher than regular auto insurance. The type of vehicle it is. The weight of the vehicle. The purpose of the vehicle. Who drives the commercial vehicle. How often the commercial vehicle used. As a business owner, search for cdl insurance quotes online and browse the available rates. You are looking for a policy that will offer maximum coverage to not just the vehicle and the driver, but also your business. If there is an accident in a commercial vehicle, your company will be responsible. Fortunately, with excellent commercial auto coverage, you can minimize the risk of paying high fees. Remember, you must maintain commercial vehicle insurance for as long as the vehicle is registered under your name or your business’s name. Leased or rented to others (individual or organization) that are not the title owner. 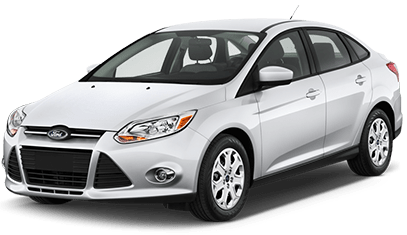 The vehicle owner(s) – which must be the same name(s) on the vehicle registration) – is responsible for getting for-hire commercial vehicle insurance. For-hire registration and insurance policy terms last one year, and are renewed on a specific month depending the vehicle’s class code. Look for affordable for-hire commercial car insurance quotes online today.